Root canal therapy is recommended when severe dental decay or infection is able to access the interior of your tooth where the root canals, pulp, and nerve system is located. 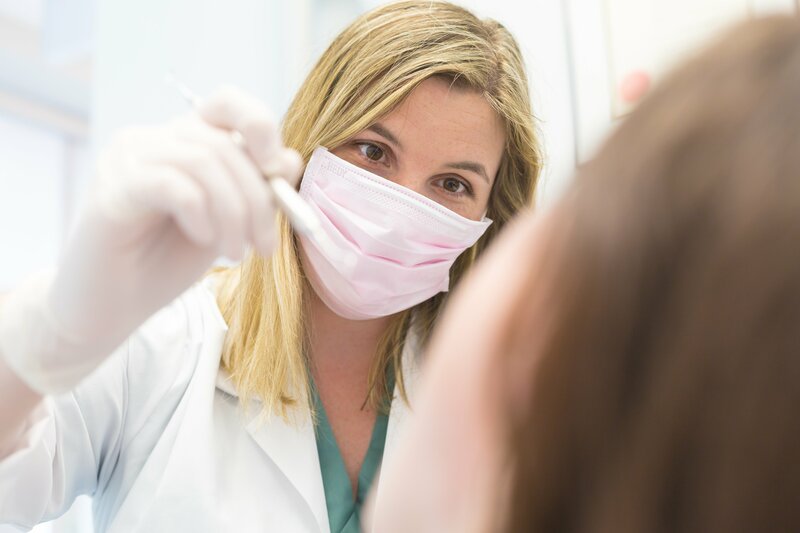 In order to prevent the need for extraction, our dentist will remove the damaged dental structure and replace the natural tissue with safe, biocompatible material in order to restore form, function, and strength to your tooth. Many people are under the impression that root canal therapy is excessively painful and that extraction may be the simpler choice. This is not the case at all. The pain associated with root canal therapy is mistakenly attributes; it’s caused by the affected nerve of the tooth and not the procedure itself. In fact, root canal therapy is able to reduce your discomfort quickly and dramatically. In most cases, a natural tooth that has been treated with root canal therapy is able to function successfully for the rest of the patient’s lifetime. There is a pimple or sore near a specific tooth that doesn’t seem to healing successfully. This can indicate infection. The patient is experiencing excessive sensitivity to changes in temperature that do not abate quickly. The patient is experiencing facial swelling and/or tenderness. Decay has reached the interior (pulp) layer of the tooth where the nerve is directly affected. Abscesses occur at the tip of the root and access the interior nerve system. The tooth is subjected to trauma that causes nerve pain. We will begin the procedure by numbing the area of your mouth to be treated and taking steps to protect it from moisture and saliva. Then, a small access hole is drilled into the top of the tooth and the interior pulp, nerves, and damaged tissue are all carefully removed, as well as bacteria and plaque. Once the tooth is prepared, our team will fill the interior parts of the tooth with similar biocompatible substances. We then reseal the tooth with a filling to cover the access point in the top of the tooth. In some cases, a dental crown is also placed over the treated tooth in order to protect and strengthen the structure, preventing future breakage. In many cases, we place a temporary crown that is exchanged for a custom solution at a follow-up visit. We also offer CEREC same-day dental crowns for patients who are interested in completing the full process in a single visit. The area surrounding the treated tooth may be sensitive or inflamed for several days or weeks following treatment. You will receive care instructions after your treatment to ensure your successful recovery. Don’t hesitate to contact us right away if you continue to experience pain, swelling, or discomfort after 48 hours.